Adorable! Pink and brown flower garden describes this chandelier perfectly. This chandelier has so many unique features, it is hard to believe. Beautiful crystals hang down, while pink flowers float around the top and bottom of this fixture. 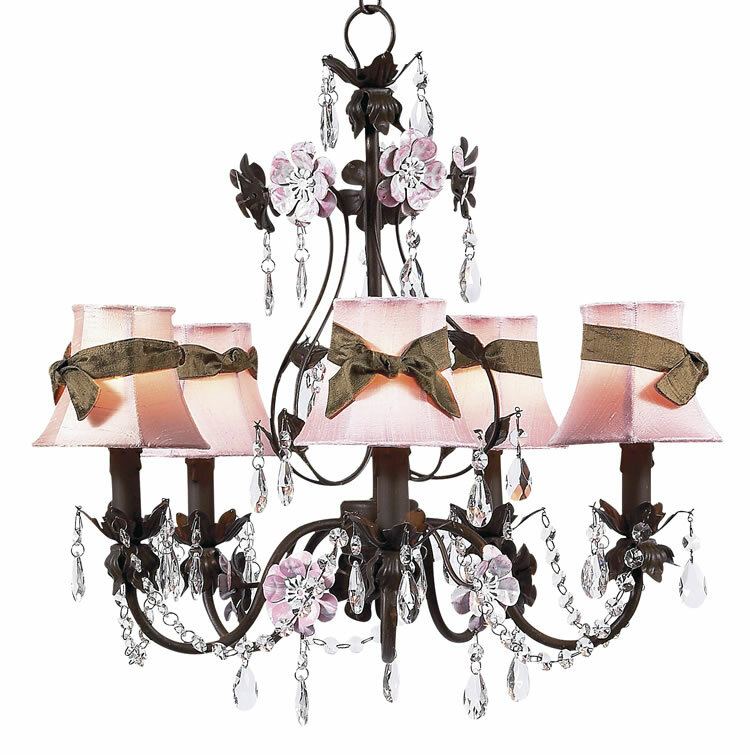 Pink shades with brown ribbons accent this Jubilee Lighting piece. Please note that the lamp shade is no longer available. You may select from all children's chandelier shades.